What a busy few weeks it has been! On the blogging front I’ve been the quietest I’ve been in a very long time, but never fear this is only temporary. I’ve started a new endeavour in my life, one I sort of stubbled upon, a couple weeks ago I was browsing a beautiful lingerie store when the manager asked if I was looking for a job, and while I wasn’t, I couldn’t help but be tempted by the glamour of this. I’m now proudly working for Honey Birdette in Morley, feel free to stop by and say hi sometime! I’m currently working on balancing my schedule between my new work, and my business which is why I’ve been a little behind on making blogs and videos. I’m so excited to be working on so many projects and finding new happiness in my life everyday. In today’s blog I’m sharing some of these exciting ventures, classes and more! Bird On A Wire aims to raise funds and awareness of child sexual abuse and exploitation through fashion by giving part proceeds to Child Wise and Adopt Nordic, two not-for-profit organisations that work towards sexual abuse and exploitation prevention. Look out for DJ Kid Tsunami who will be spinning tracks, accompanied by sets from local talents: Tricia Ray, Ruby May and Lice Be. Treat yourself to an array of teas, candies, sweet and savoury bites while listening to short readings from Bird On A Wire’s book, ‘Frankie’ written by Tricia Ray. 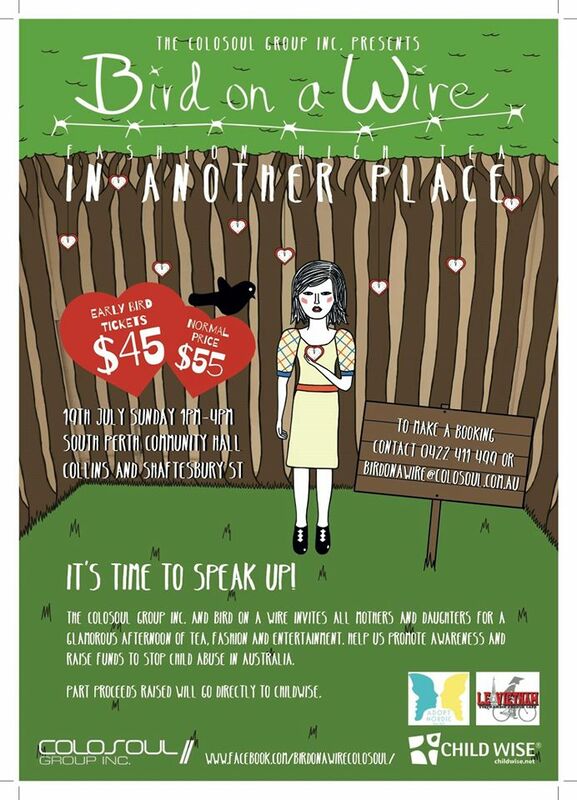 I’m going to be at this event, and it would be a great cause for as many people to come along to, to show your support to a more than worthy cause! This event is a fabulous burlesque evening taking place August 6th at Darlings Supper Club, enjoy a new of delectable asian fusion food and the beautiful burlesque dancers Kenjai, and yours truly! Tickets including an asian bento box of treats is only $55 per person! 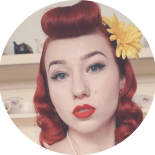 A new term of my Vintage Pinup Course commences on Tuesday July 21st, running for six-weeks, teaching all the fundamental to being a pinup including hair and makeup, posing, history, styling, pinups contests and more! The course costs $130 per person and includes a photo shoot in the sixth week with the incredible Della Photography! We only have a couple spots left so be sure to book your spot by emailing contact@ladylace.com.au ASAP! Each Monday at Studio Perth in Malaga I run my fabulous Casual Vintage Classes with Vintage Hair and Makeup from 7pm, and the Vintage Dance Class from 8pm! This week from 8pm we’ll be learning the art of curling our hair into pinup perfection, and from 8pm the classic art of burlesque! Classes cost $20 per session, or you can book five cases and receive the sixth free! No booking are needed, as they’re casual/drop in! Don’t forget if you’re a pinup in WA or vintage lover we have the fabulous Perth Pinup Community a social group for pinup girls with regular meet ups, supporting local events, businesses and charities. 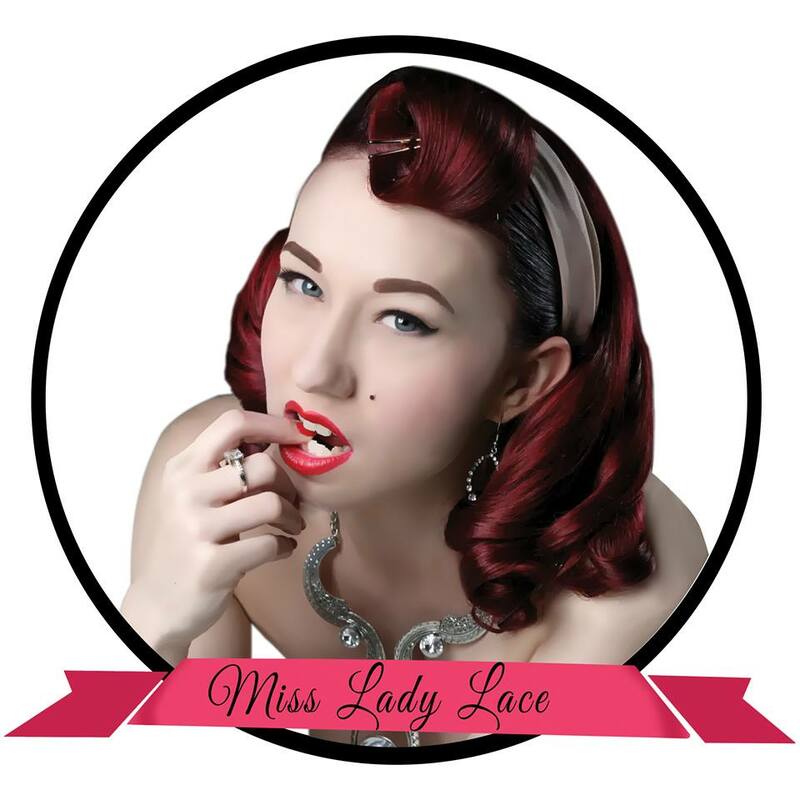 This entry was posted on July 11, 2015 by Miss Lady Lace in Pinup and tagged bento box & burlesque, bento box and burlesque, bird on a wire, bird on a wire fashion high tea, casual vintage classes, events, miss lady lace, miss lady lace burlesque, miss lady lace pinup, perth burlesque, perth pinup, perth pinup event, perth vintage event, retro, retro perth, vintage class, vintage dance class, vintage event, vintage hair and makeup class, vintage pinup, vintage pinup perth.